So how did it end!? This issue is one of the March of Comics, which were printed specifically to be sponsored by businesses and given as premium giveaways. They had print runs of at least a half a million copies each, and yet, are not easy to find. My guess is that since they weren't paid for they were deemed to have less value and were more often thrown out. I'd bought a stack of old comics my classmates Matt had gotten from his grandmother and this was one of the treasures in there, along with about a 100 or so beautiful photo covers from the 50's. This cover is by the great Walt Kelly and the entire interior contents are by duck master Carl Barks. Donald is lost at sea and the boys have to go find him. Gladstone Gander, Donald's lazy but extremely lucky cousin, also appears, and this is the first appearance of his incredible luck manifesting. This was the first issue of a comic that I'd ever had that was worth any money. I'd found it in one of my early copies of the Overstreet Price Guide. My brother and I were both fascinated by it. Our copy read Poll Parrot. Every copy I've ever found had a different sponsor on it. I knew then it was worth money and as a token of my apology for all the things big brother put little brothers through, I gave it to him. He was fully aware of the rarity and worth of the item. For over 25 years he's kept it. A couple of years ago I asked if I could buy it from him. He told me he had it in storage and it had gotten water damaged and ruined and he sold it to a collector in OH online for next to nothing. I suspect that didn't happen and that he actually sold it in the same condition I gave it to him, which is fine; it was my gift to him. There have been a few times when he's been desperate and I think he had to sell it but didn't want me to know. As I've stated earlier, I've faced the same situation before. Sadly, but with a smile knowing it helped my brother, I remember my first valuable issue. When I was a kid, I didn't really know anyone else who collected comics. 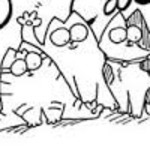 Yeah, some of my friends read them, but they didn't really care, you know? They didn't get it, it was just stuff for them. But it turned out I did know someone who collected comics. His name was Jason, and his parents were friends of my parents. Jason lived in Michigan, but every summer, Jason and his parents would come to New England for a couple weeks to visit relatives. And one summer, we discovered that we each had coincidentally become completely obsessed with comic books. From that point on, every week Jason and I would talk on the phone. It was a weekly ritual. The new comics came out on Fridays at the tie, so every Friday night, after we'd read the new boks, we'd calle ach other and talk for hours about the astonishing developments in that week's batch of funnybooks. It's one of my favorite memories form my youth. As it turned out, we discovered that it wasn't just a love for comics in general that we shared. Through another coincidence, we had both picked the same comic as our favorite, and had both begun trying to put together a complete run. A tall order for a couple of kids, but we plugged away at it, him in Michigan, me in Massachusetts, one allowance at a time. We were both missing just one issue. And it was the same issue! And it wasn't just some random issue - it was the final issue of the greatest storyline in the title's history. This was pre-internet. Pre-everything. Not having that issue meant that we didn't know how the story ended, and we seemingly had no way of finding out. We had both read all the issues leading up to it, and they were amazing. But for some insane reason, none of the issues that followed made any mention of the events in the finale! We couldn't even figure out the ending from context clues, and since we were both missing that same exact comic, we couldn't even ask the other person what happened in it. It was maddening! We had to know how the story ended! So we searched. He searched the comic stores in Michigan, I searched the comic stores in Massachusetts. Days passed. Over an entire year passed, with both of searching the whole time for this one comic. Nothing, Nada. Apparently everyone who ever read it refused to give up their copy, which just jacked up the anticipation even more. What was so awesome that nobody would sell their copy?! Finally, he came to visit again for his yearly trip. We set out on our rounds of the comic books shops. And, oh my god, we found it. It was like a bomb going off in our brains. We finally found it!!! I don't remember how we decided which one of us would get to actually own it, but who cared. We could both finally read it! Damn right it was worth the wait! Great choice... see my Day 8 pick for why. A few of my fellow Classic comrades might notice that every year I work in this Green lantern run on my lists. I’m a big fan of this series that some have called “ hamfisted”. That’s okay, It was my first exposure to many of the issues that they covered. But nothing could have prepared me for that last page of #85 showing Speedy shooting up. 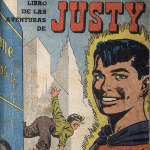 It was an important book and I think the first depiction of a hero having a flaw of this magnitude. 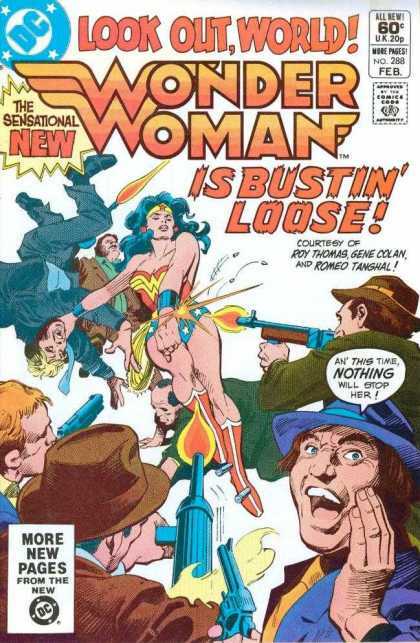 Neal Adams and Denny Oneil were at the peek of their powers with this book. The door is open to these harsh realities with this book and there’s no going back. Green Lanterns reaction was my reaction. That last panel rocked mainstream comics. I picked this up at my LCS in Miami back in the mid-eighties but didn’t get around to reading it for almost twenty years since I misplaced my magazine box soon after. I was so excited to find that box as it had my complete set of Marvel Preview, and various other Marvel Mags. The contents of that box were read in about the span of a week and this issue was my favorite of all. This issue was part of a short-lived 3 issue series but all are a lot of fun to read. One unusual thing about these issues is that the magazine strips are all Black & White but bound in the center is a full color comic story. I am going to focus on two of the strips but again they are all fun and interesting. Phil Photon is the color comic-sized story I mentioned and it is a riot. The strip had some really funny stuff and it was fun trying to figure out what other comics it was lampooning. Nebres and Golden handled the art chores and they did a really nice job. The Micro-Buccaneers is a story of some swashbucklers that have plenty of attitude and plans for conquest but are unfortunately about as big as a flea. They get into all kinds of trouble and their hilarious antics will have you in stitches. It is one of my favorites for making me laugh and smile when I just expected a dull read. The Goblin is one of the most underrated magazine series out there in my opinion. I like this one for three reasons, one- its Wonder Woman, two- good story and three-it was given to me by a friend over on the old Rita's-CBR. It was part of the Valentines exchange. I enjoyed it so much that I went and found the copies that came after it. I miss this Wonder Woman, the current one is not Wonder Woman to me. The added bonus of Huntress is a nice touch, she is also an enjoyable character. I really hope at some point they can get Wonder Woman back to the version, in some form at least. The art work and story telling are wonderful in this issue and the ones that came after. I acquired this issue when it first came out and the only story I can remember from it is why it remains one of my favorite comics: Will Eisner's "The Christmas Spirit" (of 1947). It radically challenged my conception of what comics could look like and be about. 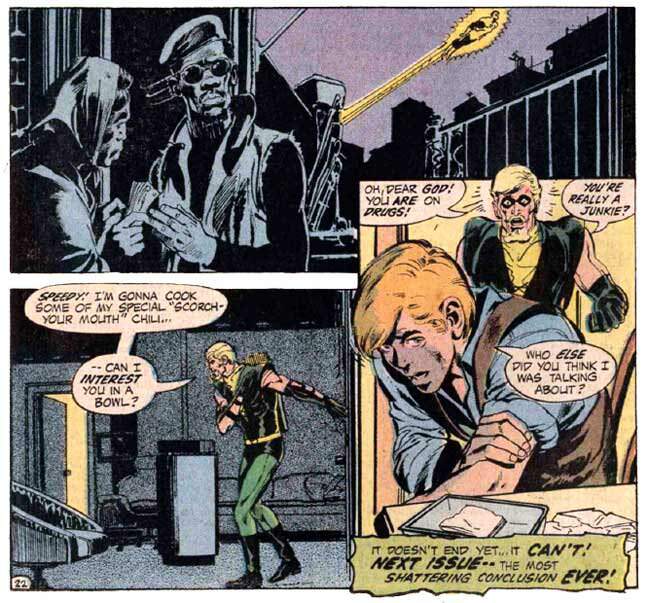 I've never forgotten the initial impression it left and I'm still waiting for somebody else to match Eisner's mastery of the comic book form. 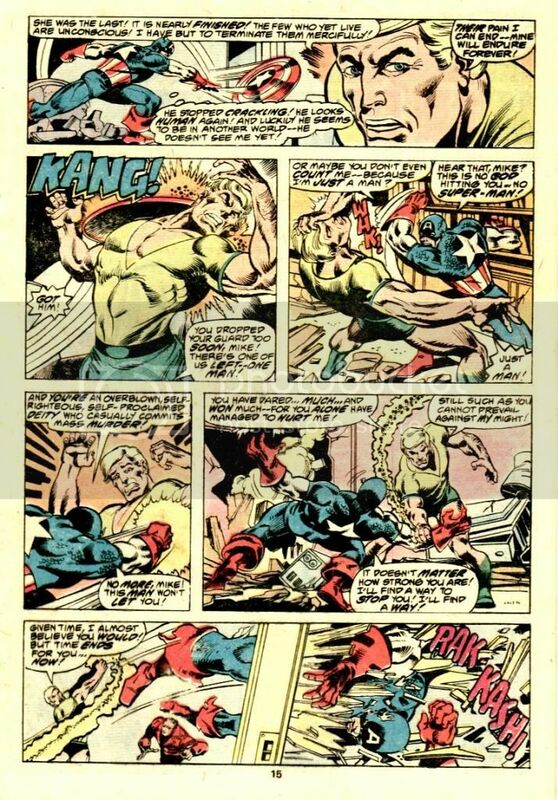 The iconic Cap moment during the fight, which has been copied more than once since. Eight years before Secret Wars #12. 14 years before Infinity Gauntlet #4. I am getting jazzed just thinking about this comic! Gotta love both Will Eisner and Eerie. My third and final pick from an unforgettable pile of comics I inherited in "Manuel's stash" (as mentioned in my previous two posts). This one was legendary. This was my first Starlin comic, and my introduction to Thanos. 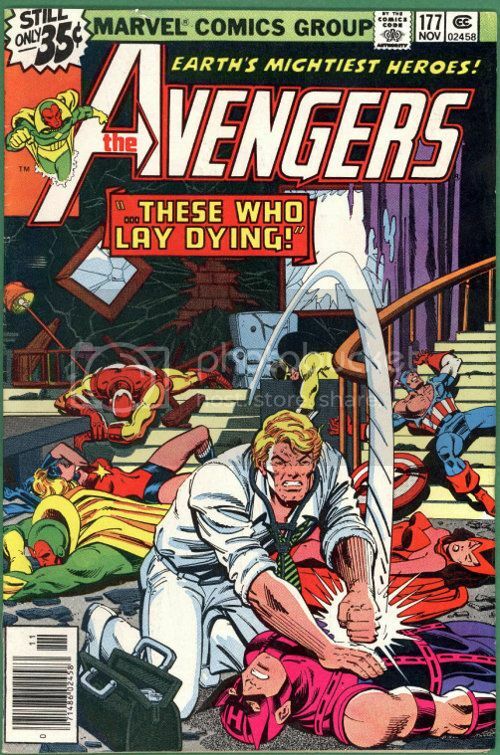 Although I missed out somewhat due to the fact that I did not have Avengers Annual #7, the 8-page synopsis in this one somewhat made up for it. I love how it all begins. "It's 3 A.M., you are asleep and your name is Peter Parker." The Avengers Annual #7 synopsis begins as Moondragon sends a distress call relaying the recent events to Parker through a dream. I could not believe what Thanos did to the Avengers. It was a desecration to me. Peter wakes up going, "Why did they choose me?" Love it. Spidey needs to find a ship, and enlists the help of Ben Grimm. Together the two head to Thanos' giant space Ark. It was just incredible to see these two, against all odds, try to save the Avengers. When the Thing gets knocked out by Thanos, it's all up to Spidey to save the day. And I loved the way he did it. Just a classic comic moment for me. And then it's up to Spidey once again during the Avengers vs. Thanos battle. I was a bit confused about the Warlock rebirth as it was my first encounter with the character, but it was still a big "Whoa" moment. But even after Thanos was defeated, I thought of him as a very formidable foe. This became the comic I would always show or loan to friends if they had not read it. For that reason, my original copy got lost, but I was able to reclaim another one a few years ago. I like Mike Sekowsky's work. 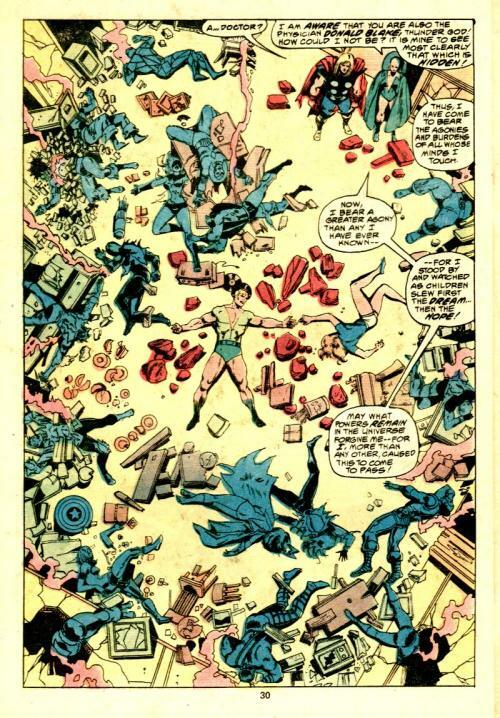 He was the JLA artist, his 'new, hunted' Metal Men was fun, and the Diana Prince era of Wonder Woman is still my favorite run of the character. And when DC was trying to update the Superman line, getting rid of Kryptonite and liberating Lois, Sekowsky was given the job of shaking up the Supergirl series. Which, maybe, may not have been the best idea. Cause Sekowsky, as many years as he'd been working at DC, apparently hadn't read too many Superman comics. He didn't know, or seem to care, much about the character. And not only was he writing and penciling the book, he was the editor, too. Which means there was no one to catch any continuity mistakes he might make. Which brings us to this book. You'd think, with a creator whose work I liked and a character I loved, I must really like this book, right? Well, yeah, I do, but not for the right reasons. Yep, this one is a guilty pleasure, folks. 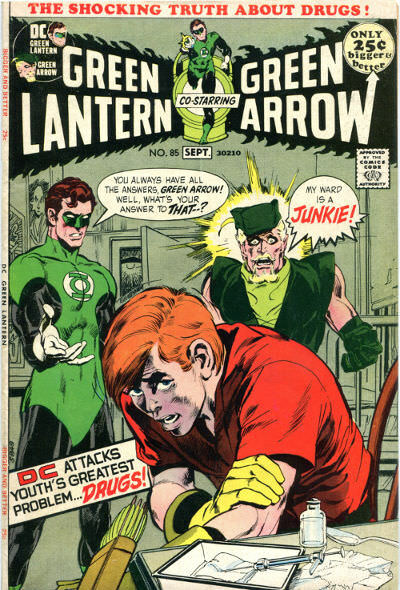 As the DC editors might've said in the sixties, it's time for a boo-boo hunt. When she wakes up this time, she's standing in a pile of Gold Kryptonite dust, which is slowly sapping her powers. (Except that Gold K didn't work like that. It had long been established that it would instantly rob a Kryptonian of their powers; that's why it was so dangerous.) There's also a large arrow pointed at her. (Really? That's the ultimate death trap?) Anyway, Black Flame and her guys then leave Supergirl alone, because of course you do. Trying to escape, she kicks a box conveniently left near her feet, which turns out to activate the Toymaster's many toys. Aside from the 2 robots, we haven't seen any of this guy's gimmicks, and we have no idea how they work. But Supergirl, apparently desperate, tries to telepathically order them to free her. What do you know, it works. When the bad guys return to gloat over her dead body, Supergirl has the toys overcome them (hey, it's an anniversary issue. 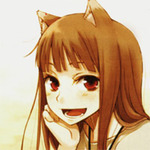 Why should she do all the work?) She then flies them to the Phantom Zone (back out in space) and turns them over to the guards (guards?). In a perverse way, this mess really is one of my favorite Supergirl stories. You know how one little continuity error can be ignored (Bob Banner, anybody? ), but a larger one can interfere with your enjoyment of a story? This one is like overkill. There's so much wrong here that I stopped caring. There was no way to take the story seriously as part of the DC universe, so I didn't try. I just read it and enjoyed it as the fun little oddity it is. Today's pick is yet another comic that I purchased from the discount & reject shop in my hometown, soon after first discovering that they sold U.S. comic books. I'm not sure exactly what made me buy it, other than I liked Spider-Man a lot and the evil dude in green on the front cover looked interesting. This issue of Marvel Tales reprints Amazing Spider-Man #5, but at the time I bought it, I had no idea that the story was some 20 years old. It goes to show, I think, just how little the world had really changed between 1963 and 1983 (at least in my sleepy hometown) that I saw nothing unusual about the clothes worn by the characters in the comic or the technology on display. I'm pretty sure I knew that this comic was a reprint though, but I think I assumed that it was a reprint of a relatively recent Spider-Man story. 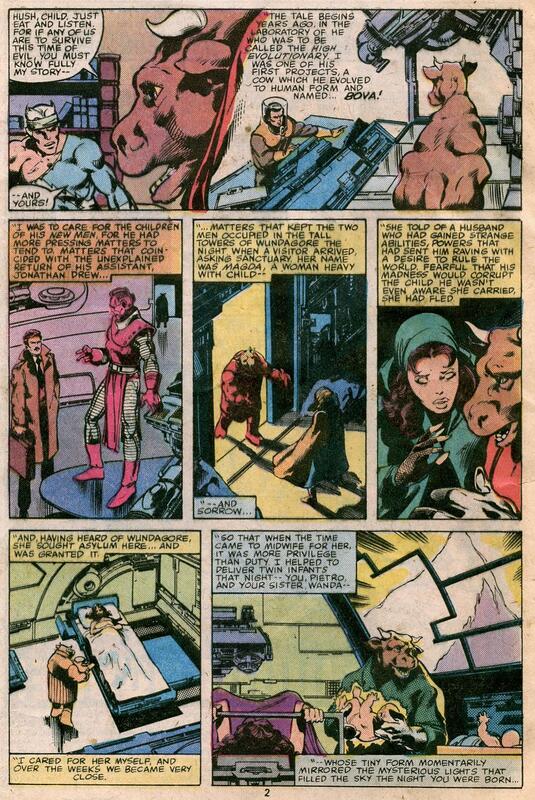 I loved the Marvel Tales reprints of this era and picked up many issues of the title over the next couple of years. I consider myself lucky to have been able to read these classic Lee/Ditko issues of Amazing Spider-Man at the tender ages of 11, 12 and 13. That's exactly the right age to be encountering these comics for the first time, I think, and they left their mark on me as a result. Of course, the whole Lee/Ditko run is just fantastic, but this issue in particular is superb...an absolute classic! This issue was also my first encounter with Dr. Doom -- a villain that I've since always regarded as a Spider-Man foe, as much as a Fantasic Four one. I loved the whole "Flash Thompson dressing up as Spider-Man, only to get kidnapped by Doom" plot element and I think that the editor's note regarding Doom's last encounter with the Fantastic Four, and then the FF actually turning up at the end of the story, was the first time that I realised that Marvel's superheroes all shared the same fictional world. A brilliant book that I read and re-read until it almost disintegrated. I still have that original, dog-eared and coverless copy that I bought in late 1982 or early 1983 in my collection. But I also have a pristine copy that I re-purchased some years ago from eBay. 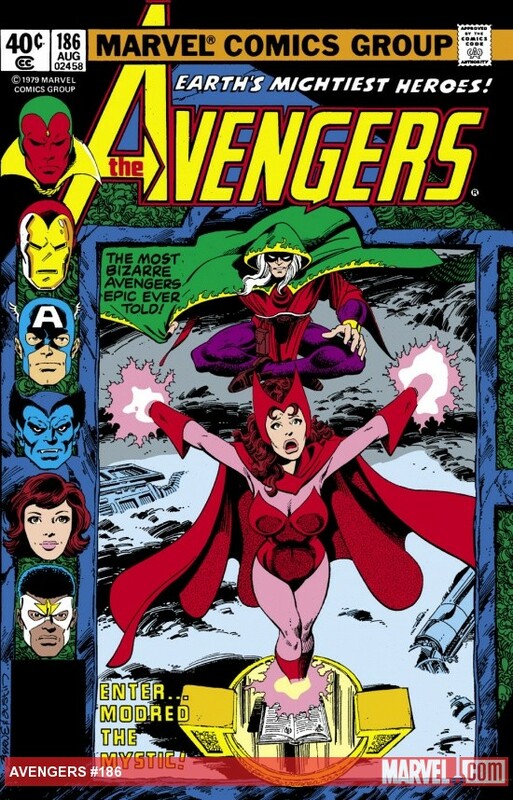 The middle chapter of one of my favorite Avengers stories. 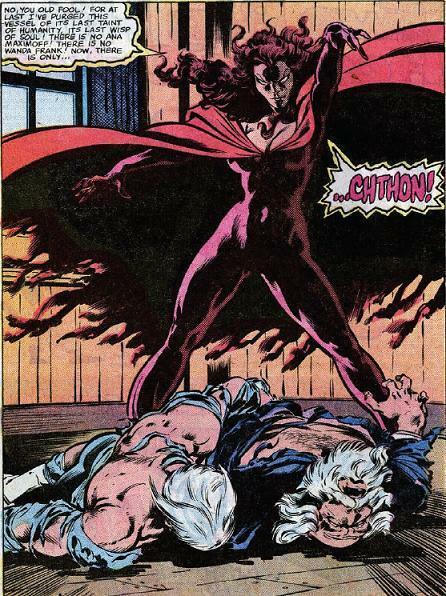 Modred has captured the Scarlet Witch and intends to use her to summon the earth-demon, Chthon. 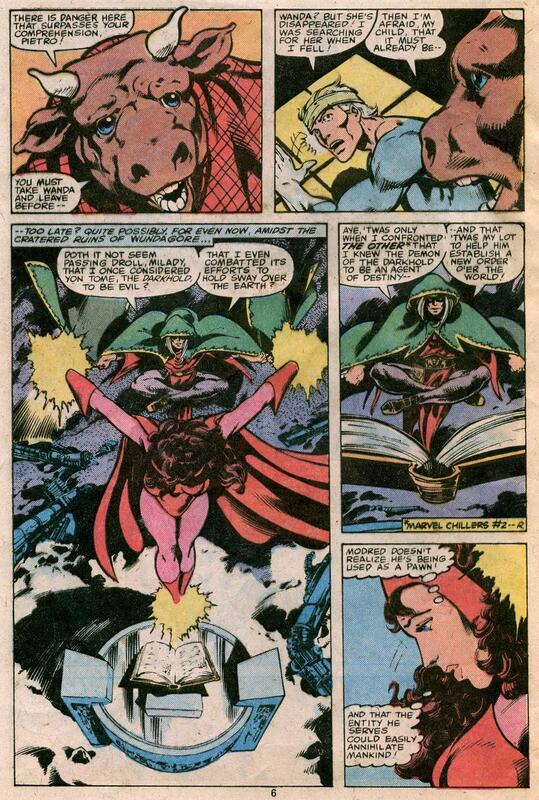 We also learn the true origins of Wanda and Pietro. 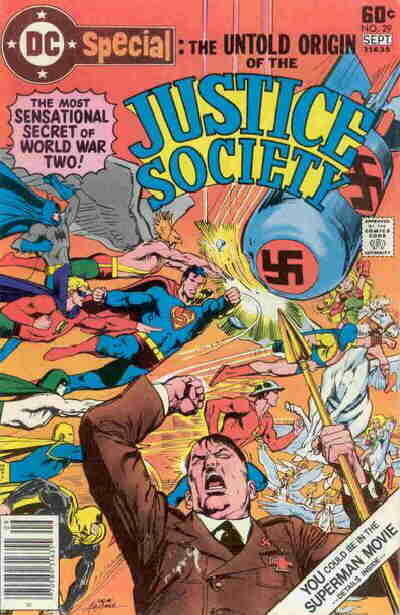 It's the secret origin of the JSA. After all those years. And it's a very good story. And JSA in their prime. By Levitz and Staton. That seems to be enough.